Leave the resorts of Cancún behind and embark on an authentic adventure that will take you from spectacular Mayan ruins to the cobblestoned streets of colonial towns and deep into the jungle of Mexico. 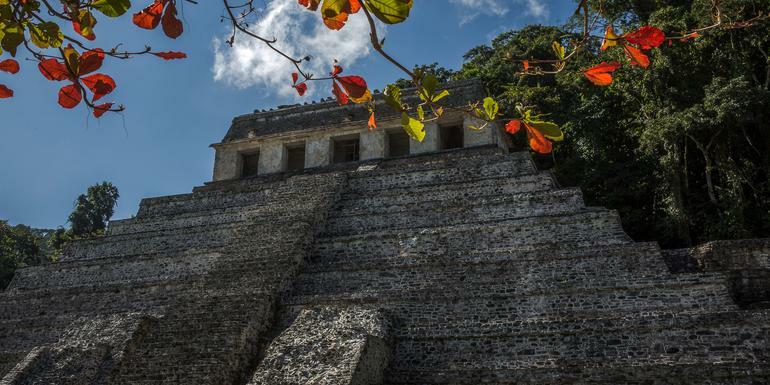 Explore the ancient ruins at Chichén Itzá and Palenque and meet the descendants of those who built them in the vibrant streets and colourful markets of picturesque Mayan towns. Get your camera out-you’re going to need it! Antigua and Barbuda are located in the middle of the Leeward Islands in the Eastern Caribbean. Antigua, the largest of the British Leeward Islands, is about 14 miles long and 11 miles wide, encompassing 108 square miles. Barbuda, a flat coral island with an area of only 68 square miles, lies approximately 30 miles to the north. The population is approximately 68,000 and its capital is St. John’s on Antigua. The largest of the British Leeward Islands, Antigua has warm, steady winds, a complex coastline of safe harbors, and a protective, nearly unbroken wall of coral reef. These unique characteristics have made Antigua and Barbuda in one of the Caribbean’s premier tourist destinations. The expansive, winding coastline that made Antigua difficult for sailors to navigate is where today’s trekkers encounter a tremendous wealth of secluded, powdery soft beaches. The coral reefs attract snorkelers and scuba divers from all over the world. And the fascinating little island of Barbuda — once a scavenger’s paradise because so many ships wrecked on its reefs — is now home to one of the region’s most significant bird sanctuaries. Located south of Cancun, this area is increasing in popularity as a point of access to the Mayan sites, as well as a golf and ‘fun in the sun’ resort area. About a one hour ferry ride from the dock at Cozumel, tiny Playa del Carmen is the gateway to many of the Yucatan’s most fascinating archaeological sites. Two of the closest are Tulum, the only Mayan coastal city, and Xel-Ha, a national park whose many lagoons surround a pre-conquest temple.